Royal Windsor Hotel Grand Place is a centrally-located luxury hotel in Brussels, just off the world-famous Grand Place. During a stay at our welcoming hotel you’ll find it easy to explore the myriad of local attractions, museums, shops and restaurants, many of which are situated within walking distance of our location. Enjoy easy access to Brussels’ Central Station (connecting to the Thalys and Eurostar terminals), the Sablon Antique Market, Galeries Royales, Square congress centre and Bozar Museum and make the most of convenient access to the Brussels Airport, located a short 20-minute journey away. 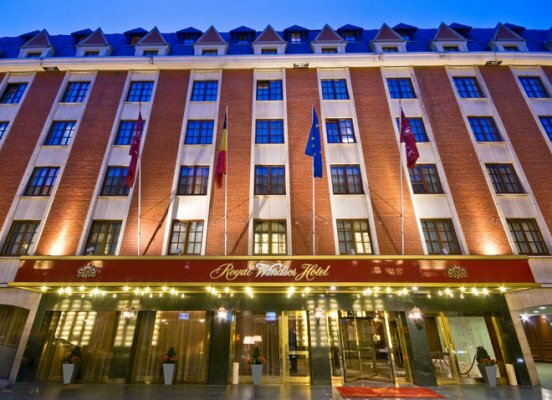 With 267 elegant guest rooms, including 16 spectacular suites, the Royal Windsor Hotel Grand Place provides an ideal retreat in the heart of the Brussels city centre. Experience a sumptuous escape that exceeds all expectations with plush beds, stylish décor and a cosy ambiance that’s sure to make you feel at home the minute you walk through the door. Each of our air-conditioned rooms features a flat screen TV, mini-bar and Spa Therapy bath products. While our exquisite Grand Place Suite stands out on the 6th floor terrace, overlooking the rooftops of Brussels. 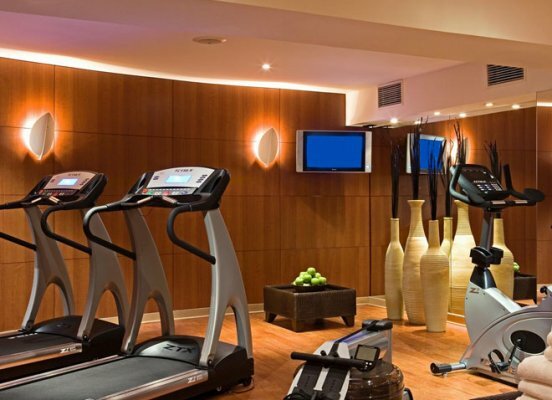 Each guest has access to this Brussels hotel’s Fitness Centre, which includes his and hers saunas. The Royal Windsor Hotel’s Chutney’s bar-restaurant offers a diversified menu and memorable cocktails. The Royal Windsor Hotel Grand Place in Brussels also has a piano bar and a nightclub in the hotel that stays open until dawn. 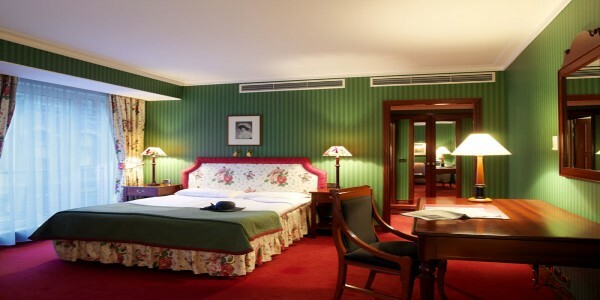 The Royal Windsor Hotel Grand Place also offers 24-hour Room Service. 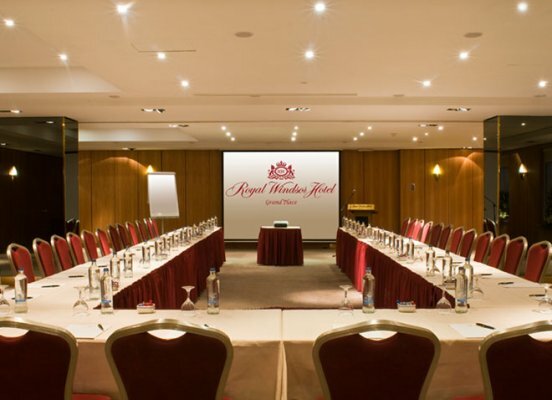 The ideal Brussels meetings facilities, the Royal Windsor Hotel Grand Place offers 15 soundproofed and air-conditioned meeting rooms that can accommodate up to 300 people, with natural daylight, as well as a Business Centre with staff assistance. Royal Windsor Hotel Grand Place does allow pets for a small fee. The cost is 12.50€ per dog. Come and discover our passion for perfection at Royal Windsor Hotel Grand Place. Our luxury Brussels hotel boasts 744 square-meters (2,440 square-feet) of inspiring meeting and event space that blends timeless elegance with a full range of modern services. Our team of professional group and convention co-ordinators will take the hard work out of planning everything from a themed social gathering to a large corporate conference. Enjoy stress-free event planning with full audio-visual support, including LCD projectors, screens, flip charts, DVD players, loudspeakers, microphones and more. 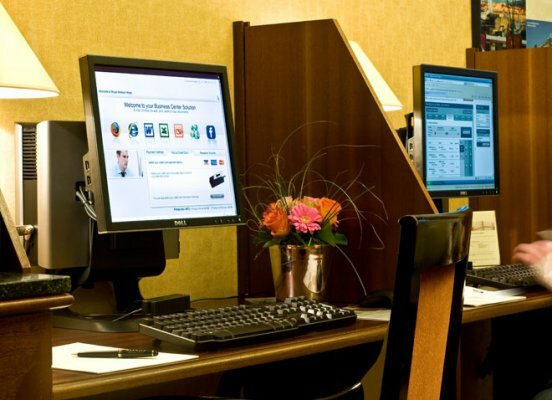 For your convenience, each of our 15 meeting and conference rooms is fully-equipped with high speed wireless internet. 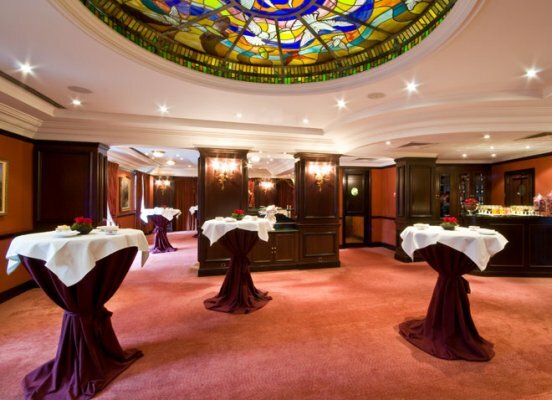 Royal Windsor Hotel Grand Place boasts 15 spectacular meeting and conference rooms with varying dimensions, offering space for up to 250 guests. Each of our air-conditioned event facilities creates an ideal setting for parties, board meetings, luncheons, receptions and more – with gorgeous natural lighting, soundproofed walls for privacy and elegant décor. The Westminster and Duquesnoy meeting rooms provide spectacular settings for seminars and receptions. 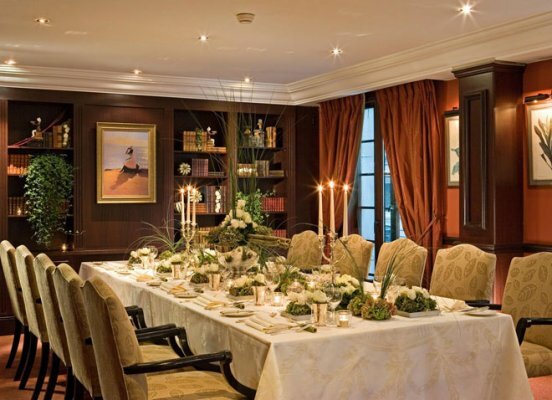 Both can be divided into two separate rooms and host between 160 and 250 people. The Warwick meeting room and our nine exquisite Executive Boardrooms in the Business Centre are ideally located at Lobby level, and are fully equipped for small meetings for 10 to 40 people. Finally, the elegantly-appointed Salon Grand Place is perfect for banquets, exhibits and receptions for 90 to 200 people. When travelling for business or leisure, satisfy your desire for an unforgettable escape to Brussels at the Royal Windsor Hotel Grand Place. Discover rest and relaxation in one of our 267 elegant guest rooms and suites, including 16 suites, one Royal Suite and our exquisite Grand Place Suite which overlooks the rooftops of the Brussels city centre. Each guest room and suite at our luxury Brussels hotel pairs sheer elegance with modern comfort, to meet all your travel needs. Unwind in the plush luxury beds and enjoy access to flat screen TVs, mini-bars and complimentary high speed wired internet. Discover the perfect night’s sleep in our Superior Rooms, featuring one plush king, one double, or two single beds. 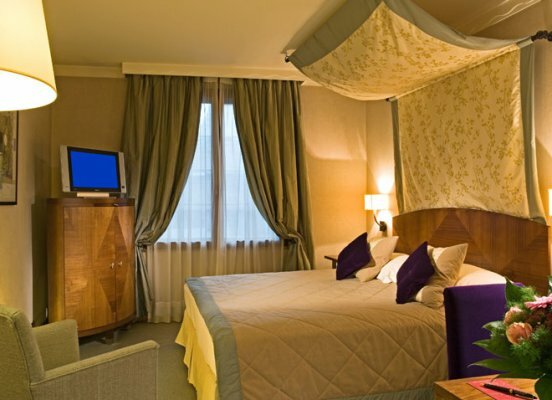 These well-appointed Brussels hotel rooms are fully air-conditioned and feature all the comforts of home. Watch an in-room movie on the flat screen TV while you enjoy light refreshments from the mini-bar. The beautiful Imperador marble bathrooms create a classic ambiance with a magnifying mirror, hairdryer and luxury Spa Therapy amenities. Corporate travelers will appreciate a night in our Business Première Rooms. Surround yourself with distinguished decor as you unwind in the one king, one double or two single beds with luxurious duvet covers. These spacious Brussels guest rooms are complemented with generous feather pillows, coffee and tea maker, flat screen TV, minibar, trouser press, and in-room safe. The writing desk area and high speed internet ensure you get the job done. The Imperador marble bathrooms offer a classic ambiance with magnifying mirror, hairdryer, fluffy bathrobe and Spa Therapy amenities. Enjoy added space in our stylish Deluxe Rooms, each enhanced by a well-appointed lounge and writing desk area. 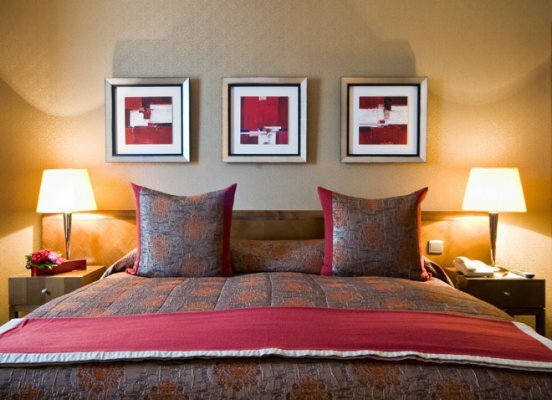 Choose rooms with one double or two single beds, adorned with a luxurious duvet and plush feather pillows. The distinguished dark Imperador marble bathrooms offer traditional facilities with a bath and separate shower, magnifying mirror, hairdryer, fluffy bathrobes, slippers and Bvlgari amenities. A large flat screen TV, mini-bar, trouser press, in-room safe, and complimentary high speed internet are included to make you feel right at home. Spacious and fully air-conditioned, our Junior Suites offer an intimate ambiance, complete with an inviting lounge area, plush beds with cosy pillow top mattresses, luxury duvets and generous feather pillows. The distinguished dark Imperador marble bathrooms in these suites offer traditional facilities with a bath and separate shower, magnifying mirror, hairdryer, fluffy bathrobes, slippers and Bvlgari bathroom amenities. Experience modern comfort with two flat screen TVs, a mini-bar, coffee and tea making facilities, a trouser press, an in-room safe and complimentary high speed wireless internet. The sophisticated and spacious Executive Suites boast a separate sitting room and a luxuriously appointed bedroom with one king size bed. These gorgeous Brussels hotel suites are fully air-conditioned and offer dazzling views of the spires of the Grand Place. Unwind in front of one of two flat screen TVs, or stay connected with the complimentary high speed internet. The distinguished dark Imperador marble bathrooms offer traditional facilities with a bath and separate shower, magnifying mirror, hairdryer, fluffy bathrobes, slippers and Bvlgari bathroom amenities. Enjoy signature amenities at our Brussels hotel, including a coffee and tea maker, mini-bar area, trouser press and an in-room safe. 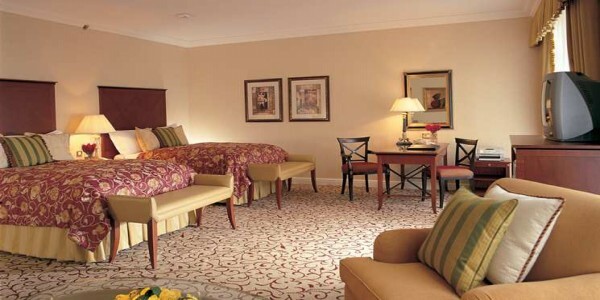 Experience luxury and style in our Royal Suite. Step through the grand entrance hallway that leads into a spacious living room, dining area, a private bar and a cosy lounge area large enough to entertain guests. This exclusive Brussels hotel suite also offers an elegantly-appointed bedroom with a king-sized bed. Sink into the fluffy pillow top mattress with downy duvet and generous feather pillows. The impressive bathroom is finished in dark Imperador marble, and offers exquisite facilities with double hand basins, a separate shower, a Jacuzzi bath, a two person sauna, fluffy bathrobes and luxurious Spa Therapy bathroom amenities. The Royal Suite offers 100 square-meters (385 square-feet) of luxury. Discover the breathtaking allure of our Grand Place Suite, overlooking the charming rooftops of Brussels. 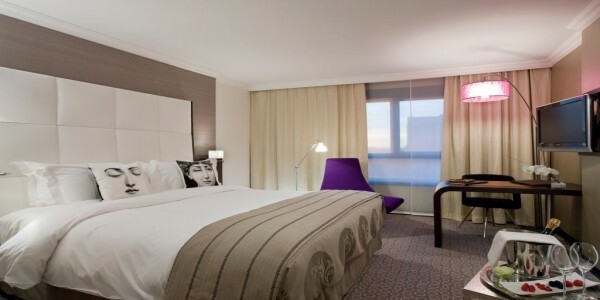 Treat yourself to a luxury Brussels hotel experience, complete with an ultra-soft king size bed with cosy pillow top mattresses, luxury duvet covers and feather pillows. Watch an in-room movie on the flat screen TV, or make a drink in the private bar area. Luxuriate in the separate living room, 150 square metres terrace, dining area, or cosy living room lounge area large enough to entertain guests. The impressive bathroom is finished in dark marble and gold murano crystal mozaic, and offers exquisite facilities with double hand basins, a separate shower, a Jacuzzi bath, fluffy bathrobes and luxurious Bvlgari bathroom amenities. 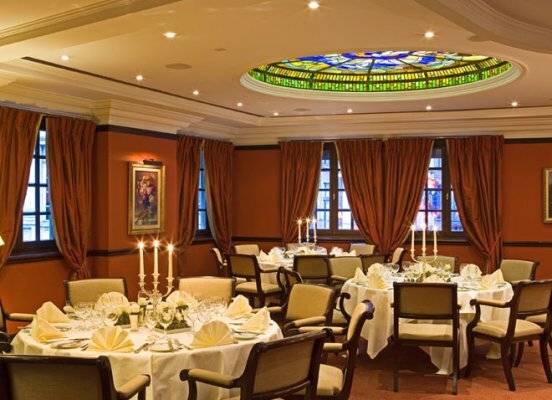 Satisfy your appetite at the Royal Windsor Hotel Grand Place. When you’re not sampling gourmet Belgian chocolates, chips and waffles, or sipping on a warm espresso out in Grand Place, why not enjoy a mouth-watering meal at one of our hotel’s exceptional restaurants and bars? Guests can enjoy fine French cuisine and delicious international fare at Chutney’s Restaurant, or cocktails and conversation at Waterloo Bar. Alternatively, head to Salon Grand Place for a range of sumptuous American breakfast classics that will provide a great start to the day. 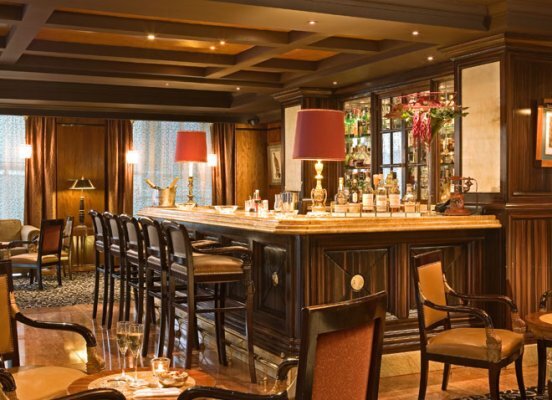 The Royal Windsor Hotel Grand Place in Brussels also features a piano bar for those after a little light entertainment, while room service is available around the clock for those who’d prefer a quiet night in. Wake up to a sumptuous breakfast buffet featuring American-style morning classics. A beautiful spread of eggs, bacon, pastries, breads, cereal, fruits, juice and coffee are sure to energize and prepare guests for a full day of exploring Brussels. Breakfast is served daily in the stylish Salon Grand Place, located on our hotel’s ground floor. The American Buffet Breakfast is €30 per person per day. In a European city renowned for its premier cafés, pubs and brasseries, Chutney’s Restaurant is recognized as one of the best. Step into Chutney’s Restaurant and you’ll immediately feel a world away thanks to its vibrant, cosmopolitan ambiance and elegant Victorian-style décor. Dine on tantalizing French-International cuisine designed to fulfill every craving, lounge in the old leather settees or relax at the bar. The staff is at your disposal, offering delicious Belgian beer, refreshing drinks and exotic cocktails. 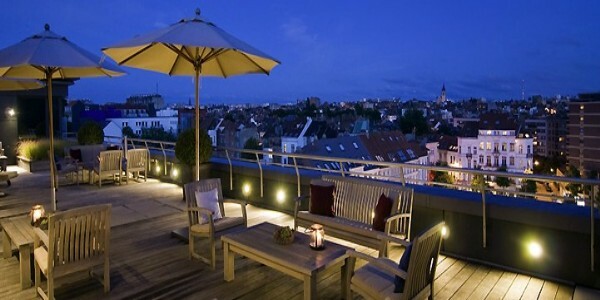 Plus, during the summer you can enjoy all of the above on the beautiful terrace with charming street views of Brussels. A cosy lobby bar attracting business travellers and international clientele. At Waterloo Bar, you can sip on specialty cocktails, wines and spirits served up from the mahogany bar as you enjoy the musical stylings of a professional piano player. Craving a late evening snack? 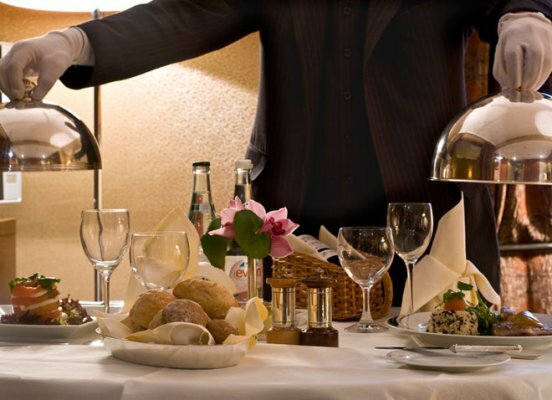 The Royal Windsor Hotel Grand Place room service staff will be happy to satisfy all your in-room dining requests. In addition, our Brussels, Belgium hotel offers guests several meal options, which are ideal for those who fancy a cosy night in.